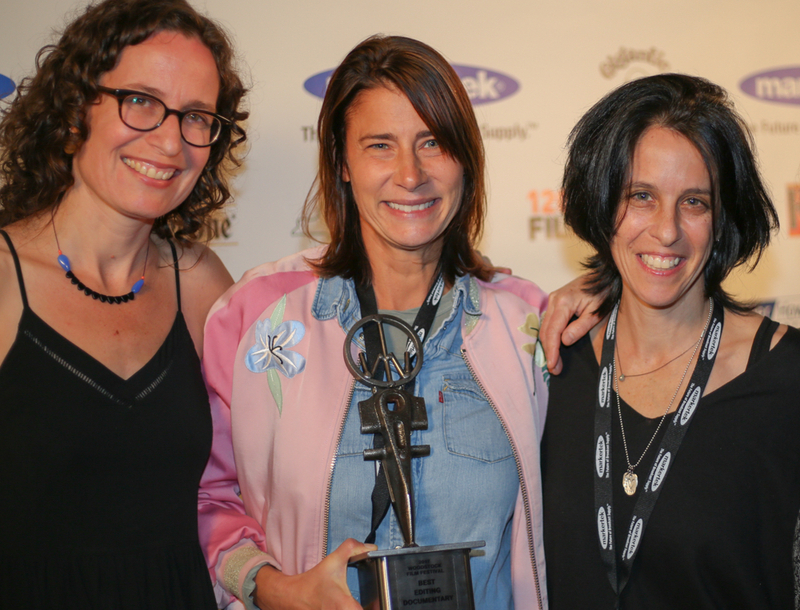 Friends and alumni of the Woodstock Film Festival have enjoyed continued success and recognition this January. Congratulations to producer Heather Rae and executive producer James Redford on being selected for this year's Sundance Film Festival. 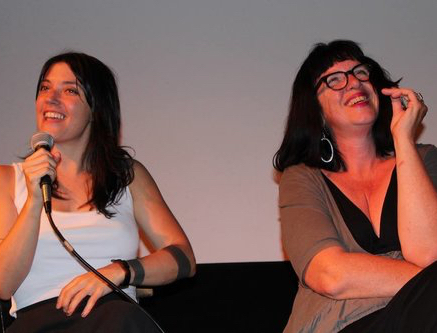 Heather Rae was one of the special guests at our 2010 special screening of THE DRY LAND, which she produced. That same year, she attended the 11th annual Woodstock Film Festival with her film FIRST CIRCLE. James Redford attended the 18th annual Woodstock Film Festival with HAPPENING: A CLEAN ENERGY REVOLUTION and also participated in the panel THROUGH THEIR LENS: THE AMERICAN CONDITION with several prominent documentarians. Executive Director of the Woodstock Film Festival Meira Blaustein named AKICITA: THE BATTLE FOR STANDING ROCK as one of the films that she is most excited to see at this year's Sundance Film Festival. Sean Baker's THE FLORIDA PROJECT (from A24) has been winning well deserved accolades and awards. Post production audio and mixing for the film happened right here in Bearsville with CA Sound. Co-star Willem Dafoe was a long time Krumville local. Vulture wrote: "This is a near-perfect film, and a heightening in every way of everything that was great about Baker's last movie." Sean has been to the film festival several times. In 2008, his film PRINCE OF BROADWAY won the Lee Marvin Award for best Feature Narrative Film. The 75th Golden Globe Awards honored the best in film and American television of 2017 and was broadcast live on January 7, 2018. 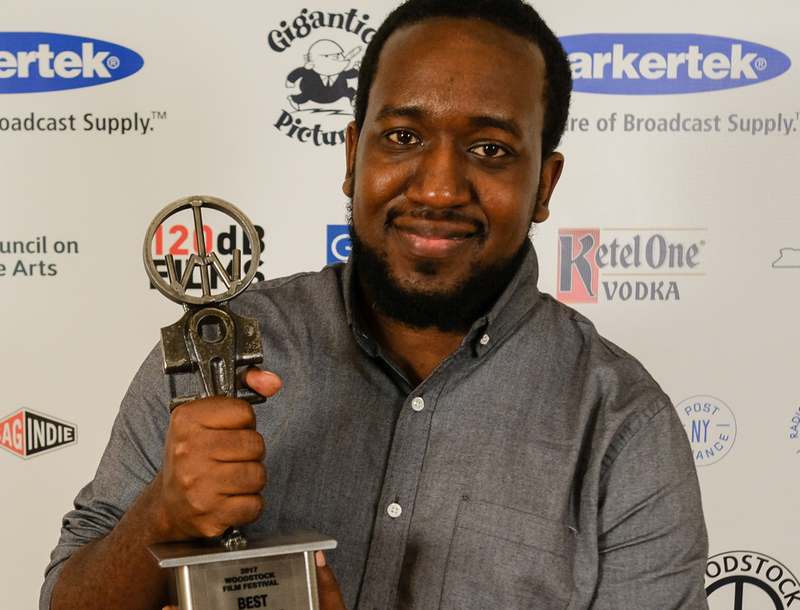 Two prominent Woodstock Film Festival alumni were honored with acting awards. Rachel Brosnahan receiving the award for Best Performance by an Actress in a Television Series, Musical or Comedy at the 2018 Golden Globes for her performance in THE MARVELOUS MRS MAISEL!. The Woodstock Film Festival has had the honor of screening five films (including the World Premiere of COMING UP ROSES) with Rachel and we’ve had the pleasure of hosting her several times. 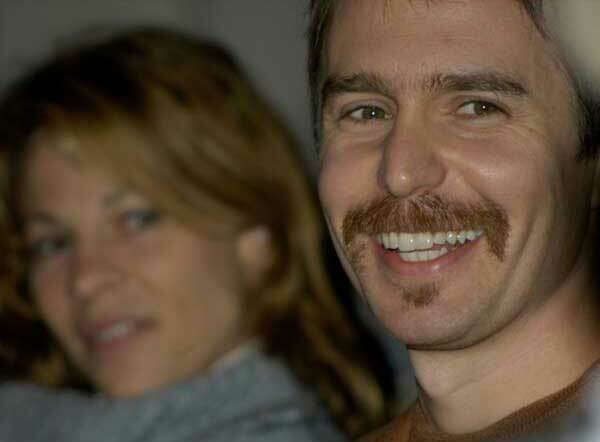 Sam Rockwell won the award for Best Performance by an Actor in a Supporting Role in any Motion Picture for his performance in THREE BILLBOARDS OUTSIDE EBBING MISSOURI. Sam attended the 2004 Woodstock Film Festival and participated in our ACTOR'S DIALOGUE panel with Melissa Leo and Lili Taylor that year. Sara Colangelo's new film, THE KINDERGARTEN TEACHER, is screening in the U.S. Dramatic Competition at this year's Sundance Film Festival. 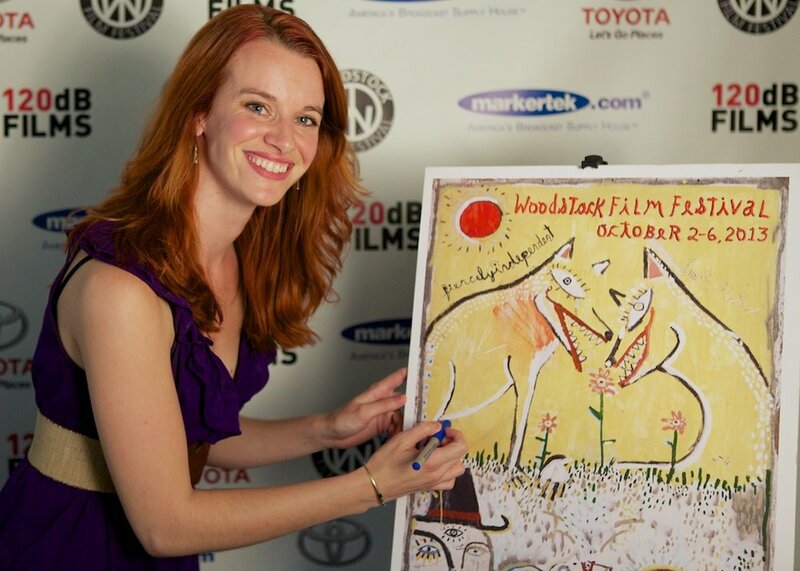 Sara came to the 2014 Woodstock Film Festival with her first feature film, LITTLE ACCIDENTS. "Stuck in Staten Island, married to a kind but oblivious husband, and living with kids that mostly ignore her, 40-year-old Lisa Spinelli (Maggie Gyllenhaal) plods through her days teaching kindergarten with growing numbness. Her one source of joy is an evening poetry class across the bay in Lower Manhattan. But one day everything changes—Lisa discovers that a five-year-old boy in her class may be the poet she can only dream of being. She becomes fascinated. Could this child be a prodigy? A Mozart? Fascination turns to obsession as Lisa pushes boundaries to protect the boy from a banal life she knows too well. In a harrowing climax, Lisa risks her career, her family, and her freedom to nurture his genius and possibly tap into her own. Advisory Board member and festival friend Melissa Leo has been making news for her role as the Reverend Mother Marie St. Claire in NOVITIATE. We're crossing our fingers for a second Oscar®. The following was printed in Vulture. "Melissa Leo didn’t want to do the scene that will most likely be seared into Oscar voters’ minds as they fill out their nomination ballots this season. She’d already spent a couple weeks on the Nashville set of NOVITIATE inhabiting her character, Reverend Mother Marie St. Claire, chief tormentor for a group of young women, in 1964, undergoing the rigorous, yearlong training of becoming nuns." Read the entire article in Vulture. THE STRANGE ONES, which filmed locally and screened at the 2017 Film Festival, opened at the Quad Cinema in NYC on January 5. The film also opened in 10 other cities including Los Angeles, Chicago, Houston, Phoenix, Tampa, Miami, Denver, Orlando, Baltimore, and Kansas City. If you're unable to make it to the theater, please know that the movie will also be available on iTunes and your Video-On-Demand service, and Hulu will also be streaming the film this year. The Los Angeles Times called THE STRANGE ONES, "an artful, boundary-pushing debut from Radcliffe and Wolkstein." Film School Rejects called it: "masterful and unforgettable." 2017 Ladies and Unisex tees are just $5 after tax for a limited time. Visit our merchandise and souvenir page for these as well as other offerings, such as our classic "Fiercely Indie" tees; hats; mugs; and archival posters. Thanks to a grant from NYSCA and matching facility donations, renovations have started at THE FILM CENTER. Work will include demo and renovation of 2 office spaces & a bathroom, electric upgrades, new windows, and most importantly, installation of foam insulation under the roof line to keep heat in. There is always more work to be done, so please consider giving to our Capital Campaign fund. 2017 was a busy year filled with year-round screenings and community events. THE PROMISE starring Oscar Isaac, Charlotte Le Bon and Christian Bale screened in April with a Q&A featuring producer Bill Horberg. 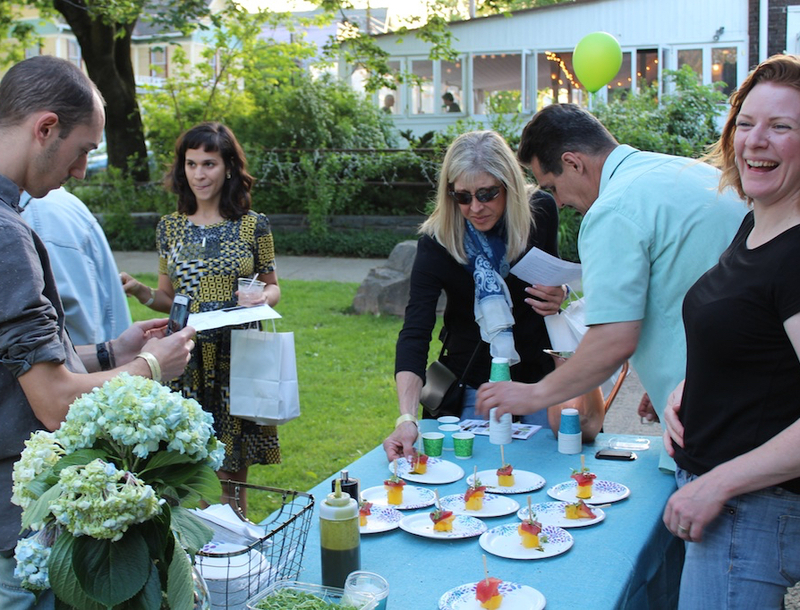 In May, over 20 world-class restaurants celebrated the culinary diversity and delicacies that the region has to offer at the 5th Annual Taste of Woodstock. 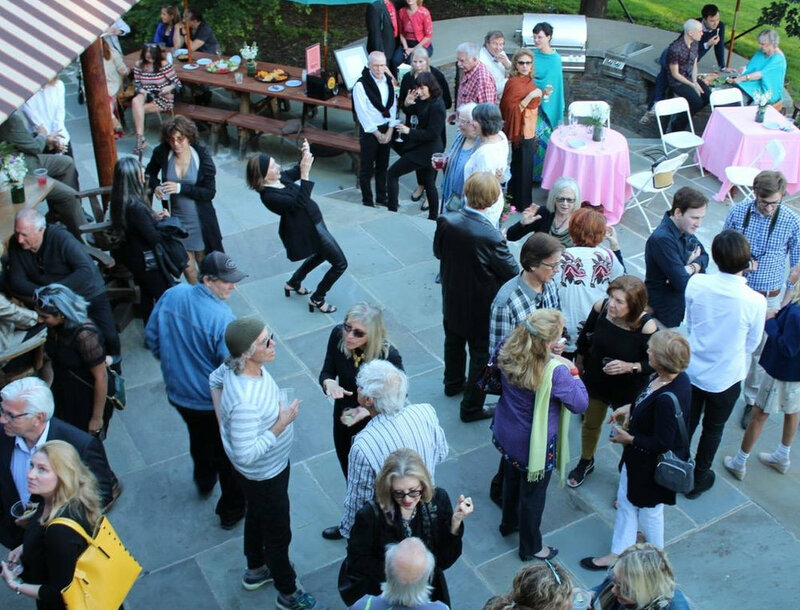 In June, the Woodstock Film Festival hosted the 5th Annual Spirit of Woodstock Celebration to honor musician/congressman John Hall and Ulster County historian Alf Evers (posthumously). Both men symbolize the artistic, thoughtful and fiercely independent spirit that has made Woodstock and the Hudson Valley so iconic for more than a century. 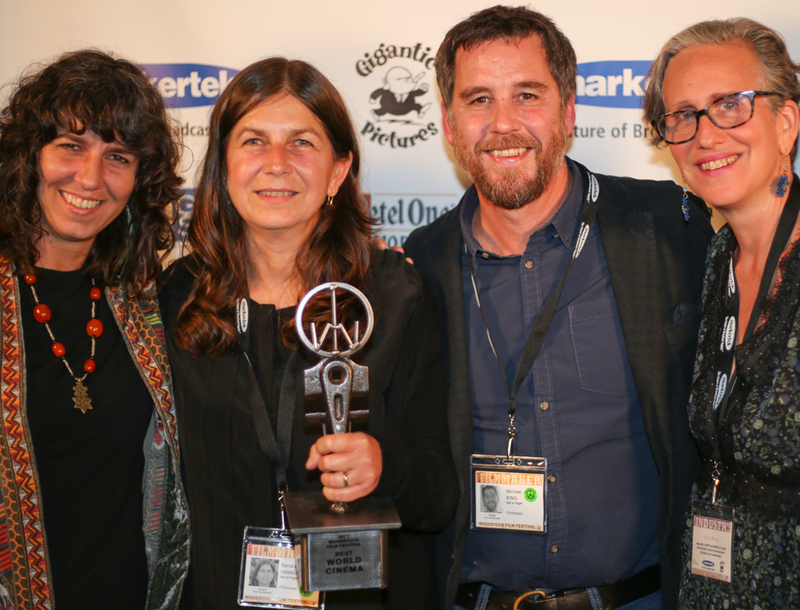 In June, the Woodstock Film Festival was honored with the Ulster County Executive's Arts Mid Hudson "Art Organization" Award. Summer was a busy time for the Woodstock Film Festival starting with the announcement of the 2017 poster designed by Naomi Graphics from a concept by Alison Grant. That was followed by four special screenings. 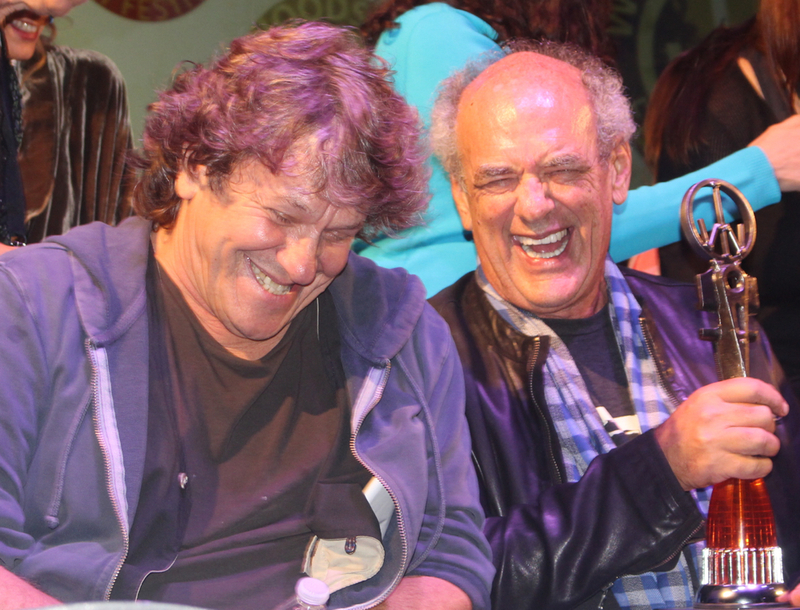 JOE COCKER: MAD DOG WITH SOUL was presented and followed with a Q&A with director John Edginton and concert promoter, producer, and Joe Cocker manager Michael Lang. 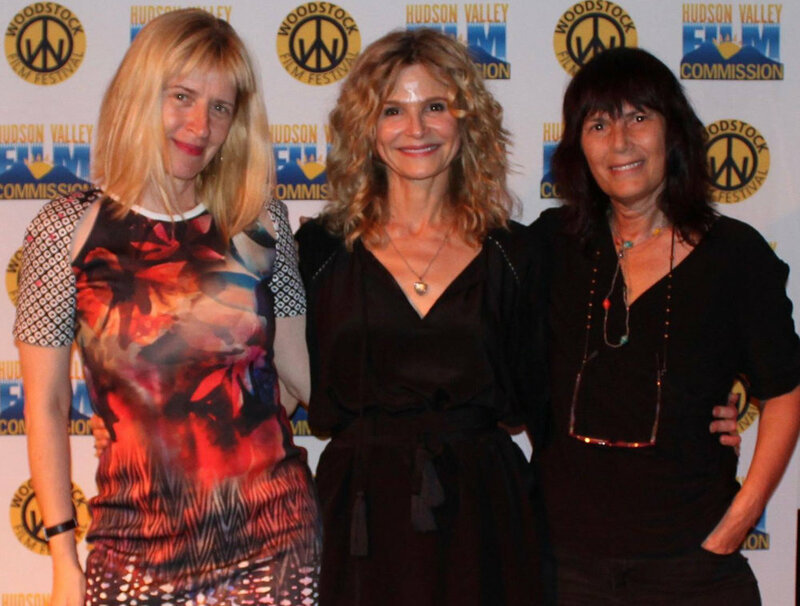 STORY OF A GIRL was followed with a Q&A with director Kyra Sedgwick and editor Sabine Hoffman. STRANGE WEATHER, starring Holly Hunter, was followed by a Q&A with director Katherine Dieckmann, and composer/singer-songwriter Sharon Van Etten. A benefit concert by the Paul Green Rock Academy closed out the month of July. In August, film-goers enjoyed a special screening of WALKING OUT, followed by a Q&A with directors Alex and Andrew Smith. In September, the Woodstock Film Festival lineup was announced and followed by our KETEL ONE launch party at LIBATION NYC. 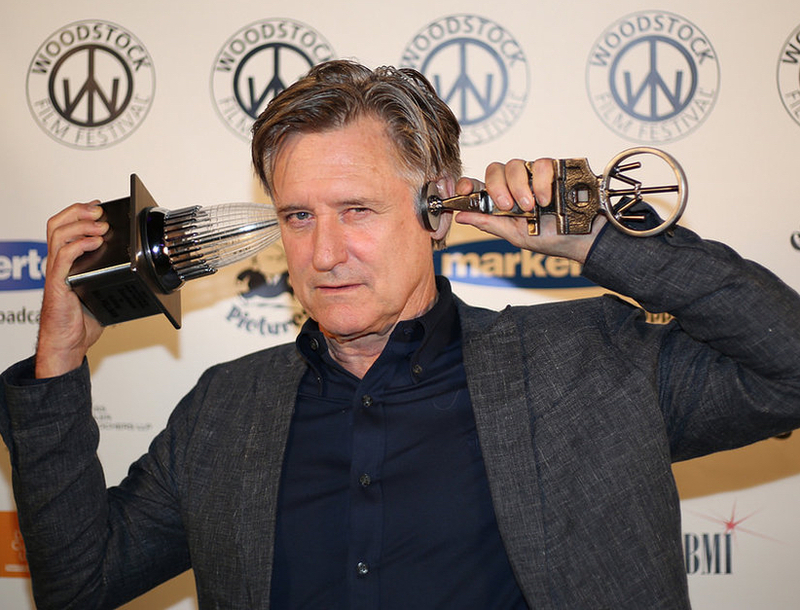 The Woodstock Film Festival took place from October 11-15, 2017 with enthusiastic audience members, filmmakers, press, industry, actors, and more. Stay tuned for information about year round screenings, and events for 2018.